Who is behind La Bigote ? My story is rooted in the city of Louvain-la-Neuve in Belgium. It all began with my years at university when I discovered “Le Brasse-Temps” a micro-brewery owned by the Dubuisson Brewery. Brought up on the “Beer Fortnights” organised twice a year by the “MDS” group, I sampled numerous beers in a festive and musical atmosphere. For years my life was fuelled by the city of Louvain-la-Neuve, with its myriad student bars and fraternities, its friendliness, its interactions. Then it clicked: I had a thirst for an entrepreneurship rooted in the brewing industry. The first thing was to let my knowledge base brew. My thirst for knowledge, growing like hops, was quenched from books, dedicated beer making apps and brewing festivals. I had to consolidate my amateur brewer knowledge base. Then I wanted to speed up the process: I began a training course to give concrete shape to my passion and bring it into being. And so it was that in June 2015 I came out with a diploma in “micro-brewery management” so that I could turn my passion into concrete reality. 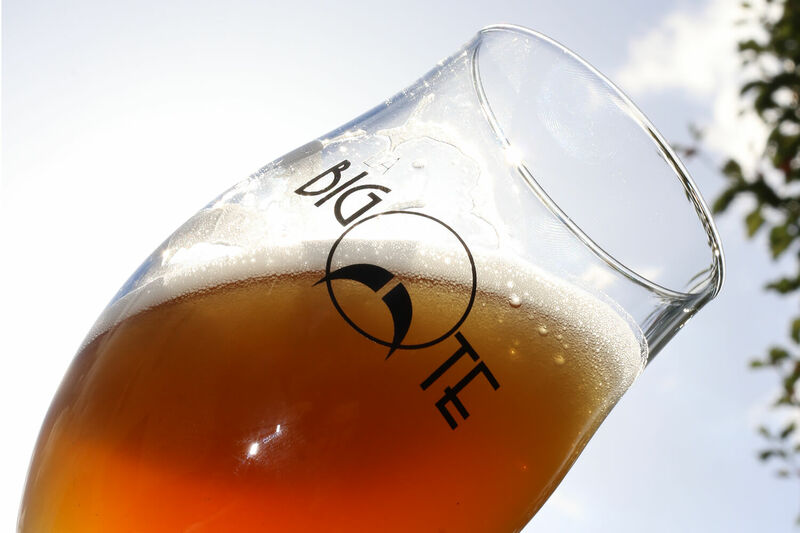 It was then that a new beer, La Bigote, was born, at the heart of Wallonie Picarde, whose promotion is so much on my heart, and recently it has been joined by surprising variants, like our La Bigote Puerh Tea, which you can find among our products. THE VALUES I HOLD WITH "LA BIGOTE"
I won’t give you any products to consume that I would not drink myself. That’s the essence of my approach. That’s why the beers that I offer all have this in common: they are authentic. I focus on drinks which are real, additive free, and have a strong yet natural character. I champion taste, sincerely expressed. I stand for beer in all its variety with its aromas and its bitterness. Because sharing my passion is close to my heart, I have started beer creation workshops. Let’s custom make your drink together...In pico-brewery mode, producing on a small scale or as a micro-brewery, creating a larger volume of beer, I can respond to all types of demand. Thomas Monserez, at your service (serving a quality Belgian beer, of course).